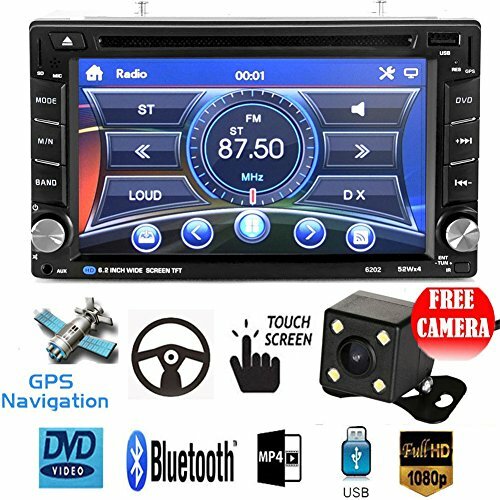 6.2inch inch 2 din HD car radio MP3 GPS DVD player with digital touch screen. 6.2" Touchscreen With Variable Color Button Illumination,HD screen 800*480. DVD/CD Receiver With FM Tuner. NOTE: To read DVD, you need to remove 2 screws on the top of item first. Built-in GPS, Bluetooth, Support steering wheel control Support rearview camera input USB/TF card port. Handfree bluetooth to help you make phone calls when you enjoy your driving. NOTE:Maps card is not included!